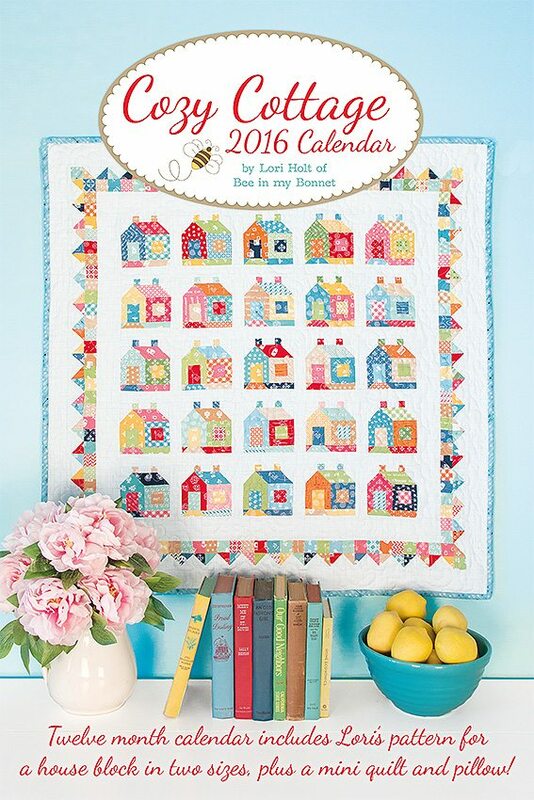 Lori Holt from Bee in my Bonnet has a brand new calendar out for 2016. Each month has photos of quilts and projects photographed in Lori’s own cosy cottage. The calendar also includes a pattern for a 4″ and 8″ block, the delightful mini shown on the cover and a pillow. Hop over to these sites to view the cosy cottage projects made by these bloggers. Today is my turn so I decided to use the block in a pincushion. A sewing girl can never have too many pincushions. Made using Bonnie and Camille Happy Go Lucky collection (My favourite B&C collection. I bought a F8 and am determined to use every piece). Trimmed with the new ribbon from Moda that ties together pre-cut bundles. Pieced and modestly quilted with Aurifil 50wt 2024 cotton. Background prop fabric – Gooseberry by Lella Boutique. Those cottages are really cute. One day I will make a whole quilt of little cosy cottages. Love your little pincushion. That is a happy line of fabric, and with that ribbon as a border – it just makes it perfect :)! Thank you. I think this collection is my all time favourite from Bonnie and Camille. I am so glad Moda are using the tape measure ribbon on their bundles. I have collected quite a bit for future projects. 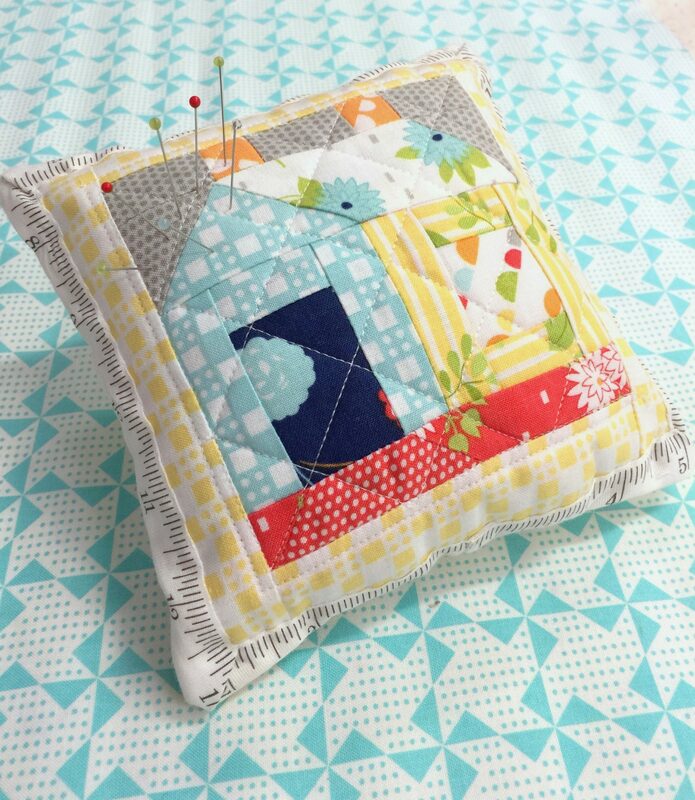 What a cute idea…you are right–we always need another pincushion!! Thank you Michelle, it’s a bit like shoes. We can never have enough pin cushions.